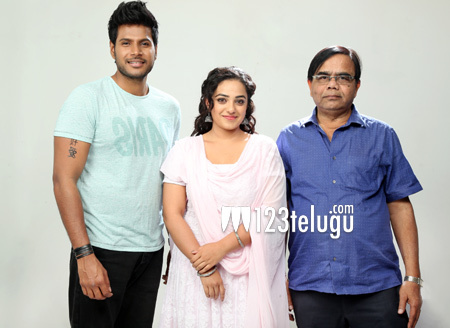 Sundeep Kishan and Nithya Menen have teamed up for a unique romantic entertainer titled ‘Okka Ammayi Thappa’. The film’s talkie part has been wrapped up. Two songs will be shot abroad and one song will be shot in India. With this, the film’s shooting will be complete. The movie is being directed by Rajasimha Thadinada and he is making his debut with this project. He has worked as a writer for many successful films in the past. The film has about 1 and a half hours of graphics and a special flyover set was erected for the making of these scenes. Ravi Kishen is going to be seen as the villain. “This is a commercial entertainer with a unique plot. Sundeep Kishan and Nithya Menen have given great performances and Chota K Naidu’s cinematography is a big asset. We are planning to release the film in April”, said director Rajasimha Thadinada. Sundeep Kishan, Nithya Menen, Ravi Kishen, Ali, Ajay, Thanikella Bharani, Brahmaji, Rao Ramesh, Rahul Dev, Saptagiri, Thagubothu Ramesh, Nalini and other senior actors will be seen in this film.